Guests of the Nova Scotia Nature Trust’s 20th anniversary dinner got more than they bargained for last week, when Nova Scotia native Paul Gauthier was revealed as the mystery millionaire donor responsible for kick-starting the provinces largest ever conservation drive – the 100 Wild Islands Legacy Campaign. 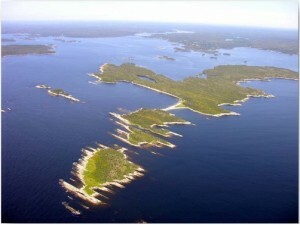 As reported in Private Island News on July 16th, Nova Scotia Nature Trust (NSNT) is currently working on their most daring project to date – a colossal campaign, which – if successful – will secure the future of no fewer than 100 scientifically-significant islands located within the province’s popular Bay of Islands archipelago. Despite only announcing the fundraising drive in June this year, the conservation group has almost succeeded in meeting its considerable CAD 7 million target – thanks in no small part to the anonymous donor who generously agreed to match every dollar raised for the project with a dollar from his own pocket. Much to the surprise of all in attendance, the covert conservationist was revealed to by Paul Gauthier, a Nova Scotian-born entrepreneur who made his millions on Silicon Valley as the founder of Inktomi, a dot-com company specialized in providing software for internet providers. 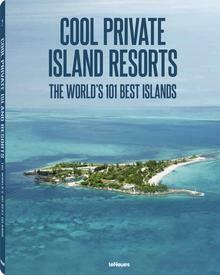 Further to the CAD 3.5 million cash investment, the local hero has also purchased two islands within the archipelago, acquiring both Stoney Island and Tuff Island long before the campaign began, placing conservation easements upon them in order to protect their natural state in perpetuity. When interviewed at the anniversary dinner by NSNT Executive Bonnie Sutherland, Gauthier was more than happy to explain to the audience exactly how he came to be involved in the ground-breaking project: “This started as just a crazy idea and it has snowballed into something substantial,” he enthused. The idea of protecting the islands came to Mr. Gauthier almost 10 years ago now, when, whilst looking for a suitable coastal lot to build a cottage, he became increasingly aware of just how much of the province’s shoreline has been divided and subdivided. Keen to preserve the character of the region, it wasn’t long after that initial realization that Mr Gauthier got in touch with the NSNT about making a positive difference. Some seven years down the line, the online-entrepreneur is responsible for what is believed to be the largest philanthropic gift to environmental conservation in Nova Scotia’s history.